Hey y’all, I wanted to let you know about my latest tutorial for Tombow! 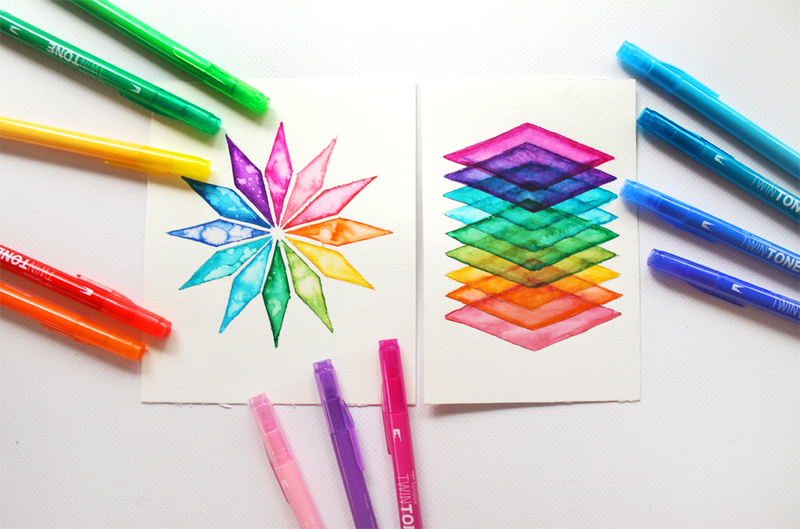 DIY Geometric Rainbow Art! 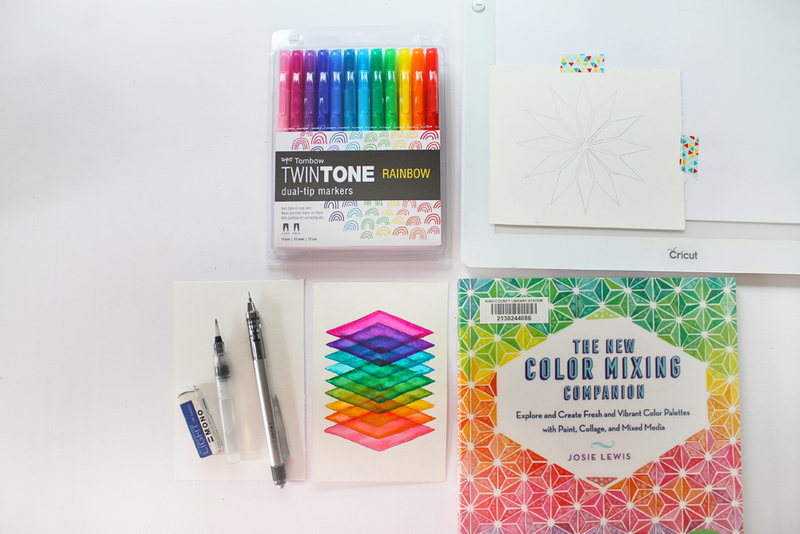 I used Tombow’s new Rainbow Twin Tone Markers & Templates by Josie Lewis to create these “watercolor” geometric designs. Using the markers makes this super easy, because they dry a bit faster than regular watercolors, and are super vibrant. Find the full tutorial on the Tombow blog here.